What's the deal with sugar? You've probably heard the warnings: sugar consumption is a major cause of obesity and many chronic diseases, such as diabetes, and that today's processed foods contain many hidden sugars. But isn't glucose a sugar? And don't our bodies need glucose to produce the energy we need to survive? Right! You body does need the fuel that comes from glucose. What you may not have realized, however, is that pretty much any food you eat can be turned into glucose by your body. Even green veggies--kale included--can provide the glucose that your body needs to survive. You don't actually have to eat sugar to get glucose! Thanks to our busy lifestyles with heavily processed meals, most Americans consume far more refined sugars than they actually need. It's the refined sugars that are added to foods that are the real bad guys, in this case. All that excess sugar in our diets, over time, can lead to problems like weight gain, heart disease, diabetes, and acne, as well as increasing your risk for cancer, depression, and other health problems. Nutritional therapist Stacey Maedge explains how your body processes sugars, and why too much can be problematic in this video. And in this video, she shares how much sugar is too much for men, women, and children, and points out some foods with an unexpectedly high sugar content. Stacey shows you what to look for on ingredient labels to make sure you aren't eating hidden sugars. 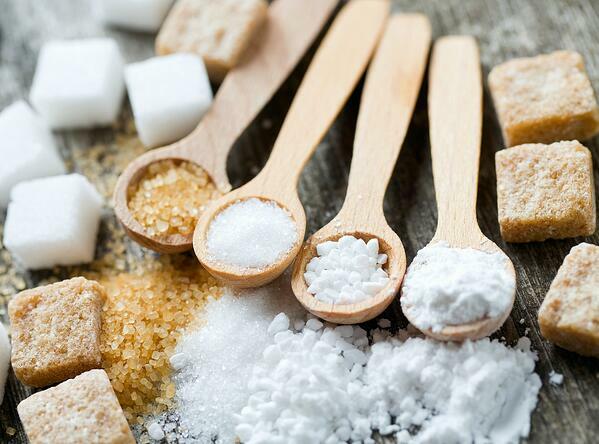 Do you have questions about sugar and your nutrition? Feel free to ask in the comments, and Stacey will try to answer them. Need ideas for healthy snacks? Try some of these.